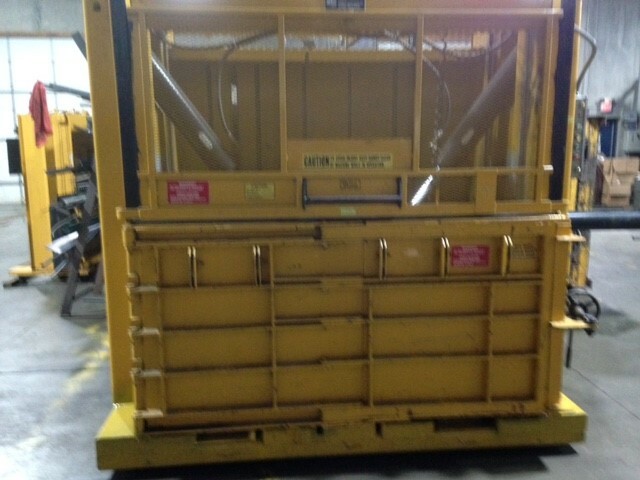 V-7240 reconditioned low profile baling press that fits beneath a 112" ceiling height. It's huge feed opening and super fast cycle time make it the most productive low profile baler on the market. It makes quick work of oversized cartons and produces a 72" x 40" x 40" bale weighing 1200 lbs. Sale price is $8960. F.O.B Rockford, MN. 90 day parts and labor warranty.